The latest culinary inspiration from the island state of Hawaii is Nalu’s Fish Grill & Tutu’s Kitchen, located in the Los Mares plaza where the Krikorian theater once operated. The restaurant has a range of Hawaiian and American-inspired dishes for just about anybody’s palate. Panko-breaded chicken, originating from Japan, was provided in a traditional display, with a choice of vegetables over a bed of rice. The chicken’s texture was nicely blended with the shreds of bread and assorted vegetables. There’s a somewhat indescribable flavor with this style of chicken, one that slips outside the norm, but still—no pun intended—tastes like chicken. 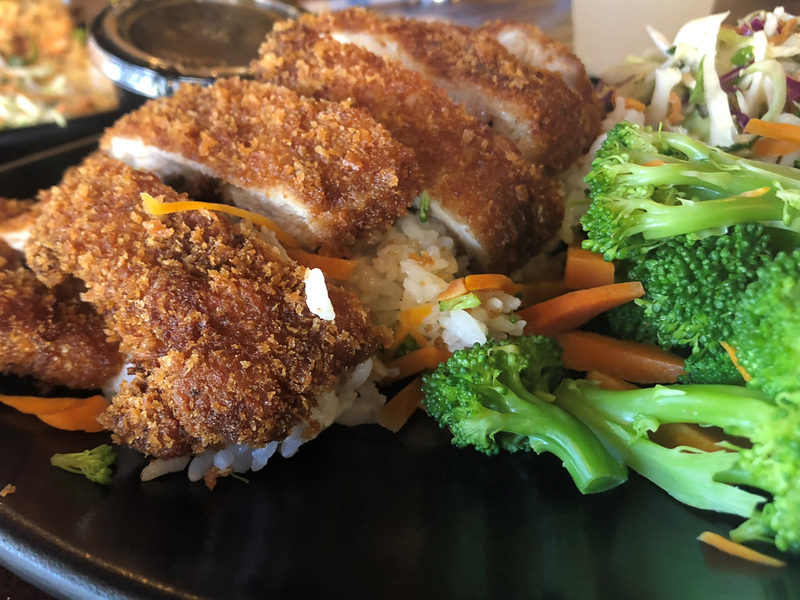 The chicken katsu is probably going to be popular, but it will likely pale in comparison to the diverse poke bowls and fish dishes offered by the grill; however, it’s a nice detour off the beaten path. Nalu’s opened just weeks ago and has already breathed some new life into the north San Clemente plaza, with the help of incoming chains Jersey Mike’s and Dunkin’ Donuts also having arrived within the last year or so.